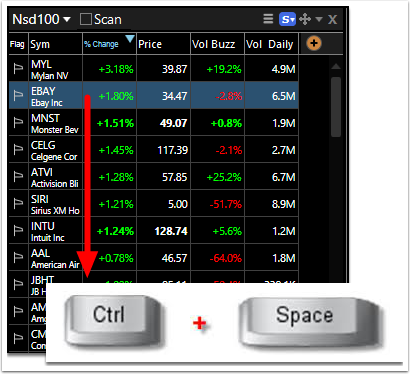 Here are four ways to change the active symbol being viewed to a different ticker symbol. 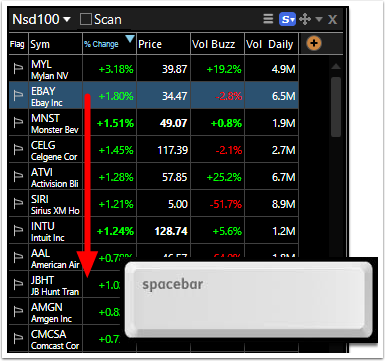 To move symbol-by-symbol through a WatchList simply press the spacebar on the keyboard. To move symbol-by-symbol in reverse order, press the Ctrl key and press the spacebar on the keyboard. 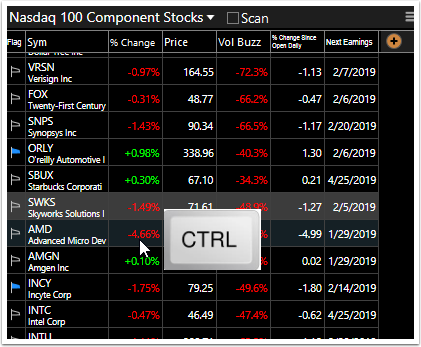 To jump to a different active symbol, type any part of the symbol or company name of the desired stock. 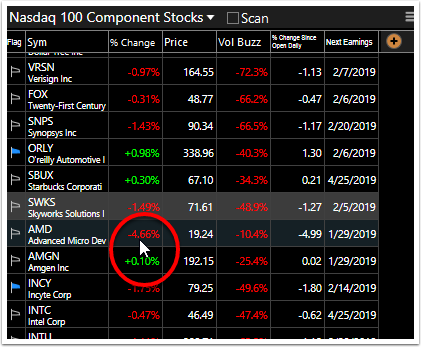 Click on the Symbol/Company Name in the list to make it the active symbol. Pressing Enter will automatically select the top item in the type to search list. 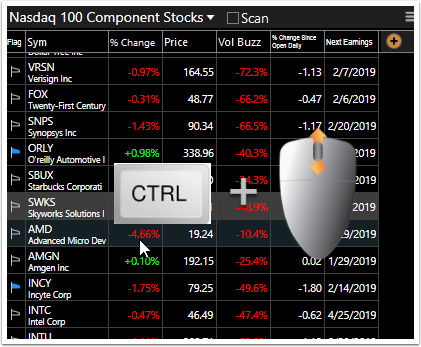 Click on any symbol in a WatchList to make that the active symbol. 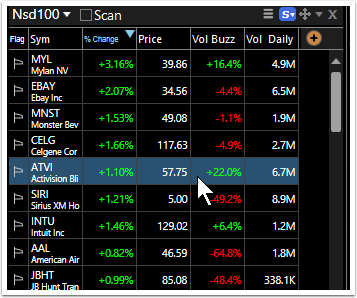 Click the yellow ticker symbol at the top right of the chart. Type any part of the symbol or company name of the desired stock.